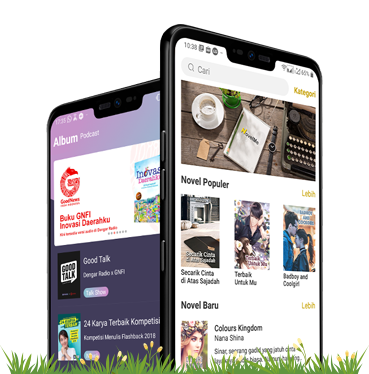 Our vision is to utilize technology, capital, and expertise from Indonesia to devote ourselves to education and entertainment industries in Indonesia, to elevate equal opportunities in knowledge and happiness for all Indonesian people. To be one of the biggest startup company in vertical industry. To gather passionate people with perfectism attitude to create best user experience for all our customers.